A bumper 1333 crowd enjoyed a feast of attacking football as Matlock overcame a youthful Spireites outfit at the Proctor Cars Stadium on Monday night. Dave Hoole’s men recovered from going behind to an early Jake Philips own goal to lead 3-1 at the break as Jordan Chappell, Jamie Jackson and Kieren Watson all found the net. A trialist reduced the visitors’ deficit eight minutes into the second period when Chesterfield were much improved, but Michael Williams sealed victory for the hosts with a fourth goal seven minutes from the end. Joe Anyon prevented Matlock from taking a first minute lead saving smartly from Watson and then Jackson and it was against the run of the play when on 7 minutes, a neat move down the right ended with a diagonal drive from Luke Rawson hitting PHILIPS who could only divert the shot beyond Richard Walton. But Matlock responded positively, Watson flicking a header wide after a fine run and cross on the right by Philips. Dwayne Wiley’s header was a touch too high before fortune favoured Matlock with their 21st minute equaliser. Persistence was also the key and it was a nightmare moment for Anyon who could only knock his unconvincing clearance against CHAPPELL, the ball beating the goalkeeper’s desperate attempt to clear the ball to safety as it found the bottom corner of the net. Boosted by the goal Matlock poured forward for Chappell to shoot at Anyon from distance and Watson strike the bar with a half volley from Jackson’s assist. JACKSON, playing against one of his former clubs. was a constant threat and his industry was rewarded by a sweet 31st minute header, rising to glance home Alex Hirst’s left wing centre. In between the two Matlock goals. Levi Amantchi had shot straight at Walton when well placed, but Jackson was the star act and by the interval he might have been celebrating a hat-trick. WATSON though stretched Matlock’s lead on 41 minutes, powering home a header from a Chappell corner on the right. The half ended with Ify Ofoegbu firing across the face of the goal which was the prelude to Chesterfield at last looking the more dangerous for long spells in the second half. The TRIALIST put the outcome back in the melting point with a well executed looping header from Joe Rowley’s 53rd minute cross. Amatachi then burst through the middle to feed Rawson only for Walton to sprint off his line and block superbly. 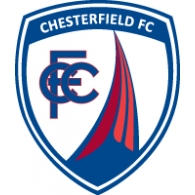 Chesterfield maintained the pressure with a series of corners, one for a thirty yarder from Charlie Wakefield which was deflected on to the top of the bar. Matlock though, with Wiley outstanding, stood firm and after Jackson curled a shot wide, their win was confirmed when Chappell’s daisycutter of a corner was flicked in by WILLIAMS. Both sides were deservedly applauded off by the huge crowd, the result being just about right on chances created. REFEREE: Jamie O’Connor (Chesterfield) ATTENDANCE: 1,333.